the use of resources as well as other activities that are required for the performance of a high-quality translation service. 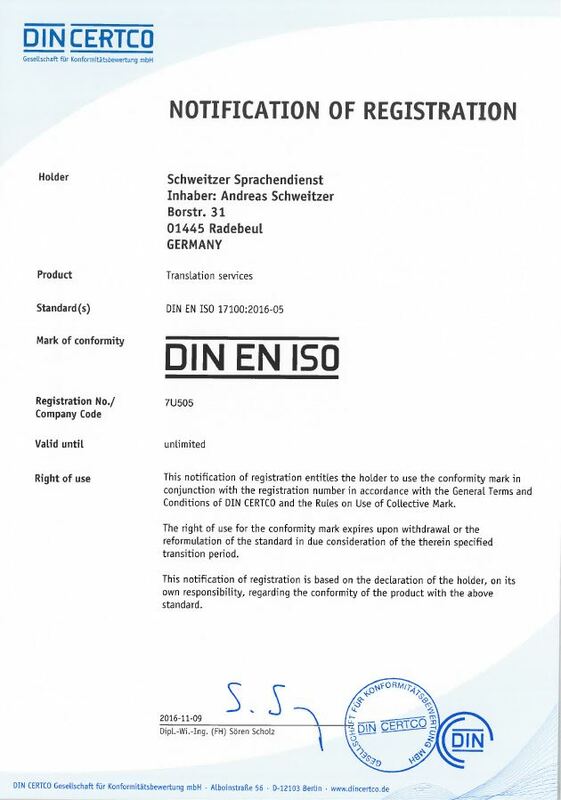 Since 2016, Schweitzer Sprachendienst has been officially registered as a standard-compliant translation service provider by the certification company DIN CERTCO. You can rely on getting top-quality translations. Have questions about DIN EN ISO 17100 or about standardised translations?